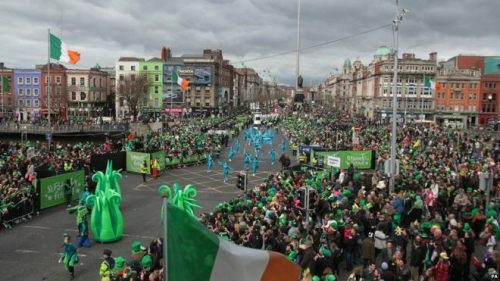 Every year Dublin put on a great display on St Patrick’s day and this year is no exception, the theme this year will be “home is where the heart is“. During the parade there will be mesmeric performances along with creative props inspired by the theme. With great hotel deals to be sought for the St. Patrick’s weekend festivities, there is no better time to visit Dublin! During the weekend festivities bands from across the globe will be providing sparkling rhythms and electrifying musical scores that will get all of Dublin rocking! Chant and cheer at the parade with the hundreds of thousands of people who make their way down and make it your most memorable St Patrick’s Day. At the parade there will be several food and drink stalls so you will be well fueled for the amazing experience that will remember forever. The parade will kick off at 12pm on the 17th of March (St Patrick’s Day) and it will begin at Dublin’s City Centre. Over 115,000 people are expected to attend this event so if you wish to attend the event we recommend you arrive early to avoid delays.